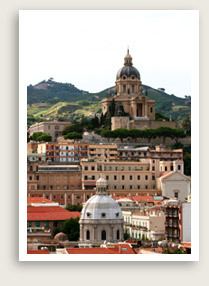 Looking for a private shore excursion from the cost of Messina or Catania? Well Arranged Travel offers several options. Consider this Messina and Tindaris tour. Still not satisfied, review the list from the menu. Includes: private transportation to and from Messina with English speaking driver/guide, taxes, parking, tolls. Your next destination is Tindaris, a Bronze Age settlement from about 1500 BC. The most important Greek city in this vicinity, Tindaris suffered from a landslide at the end of the First Century AD and an earthquake in 365 AD. Most of what the visitor sees today was constructed during the Roman period.